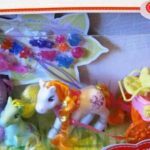 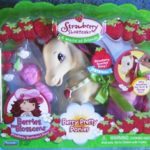 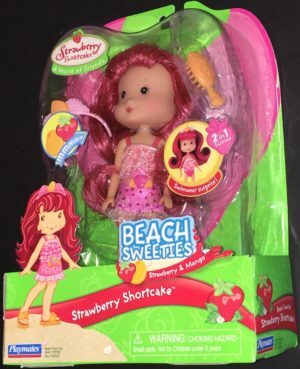 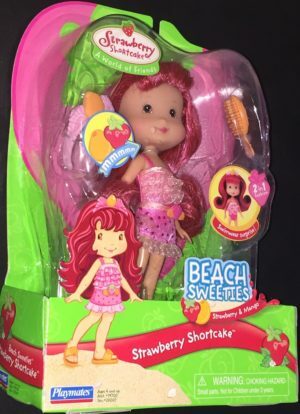 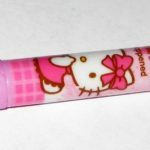 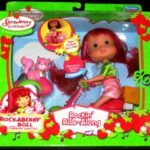 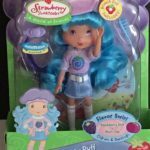 Beach Sweeties Strawberry Shortcake doll with sweet scent and accessories. 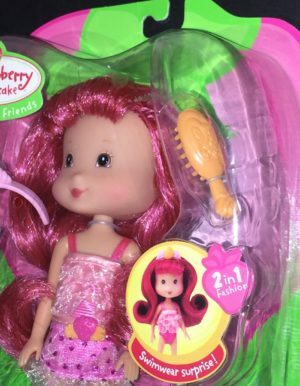 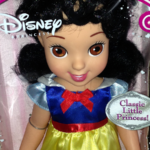 This Strawberry Shortcake doll from the Playmates Beach Sweeties collection. 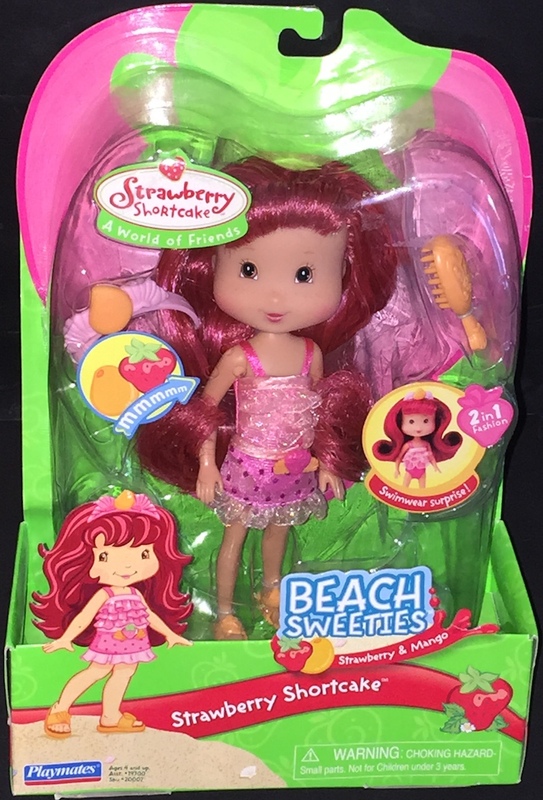 She comes dressed in a fancy pink dress with tiers and sparkled dots. 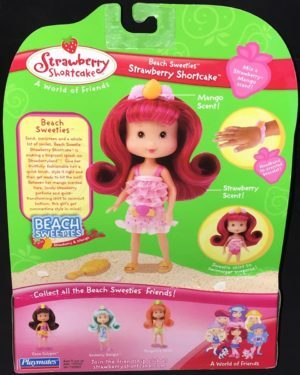 Quickly get her ready for the beach by removing the skirt to reveal her fancy swimsuit! 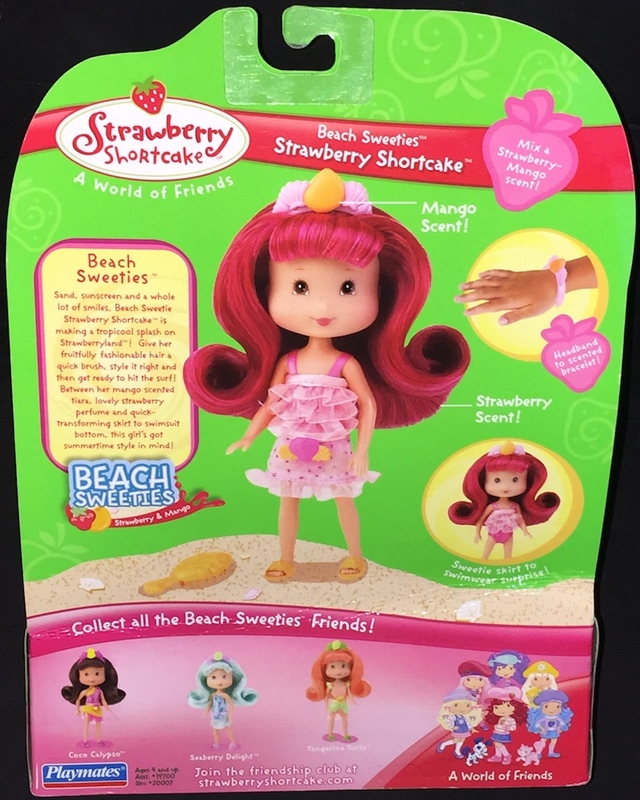 This Beach Sweetie doll wears yellow sandals with a large decorative starfish. 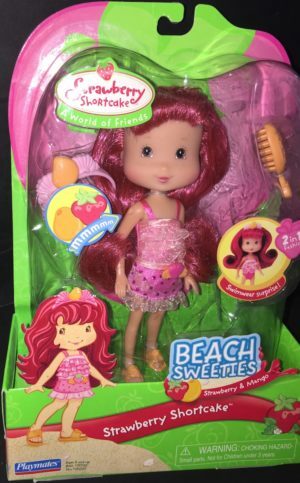 She comes with a pink hairband adorned with a mango gem. 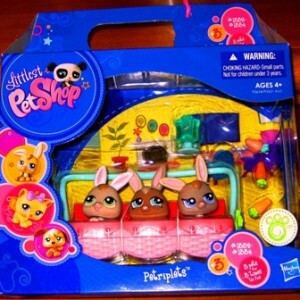 Also included is an orange comb to keep her hair locks looking their best. 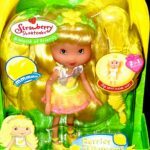 Her delicious scent is that of strawberry and mango. 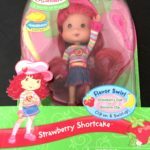 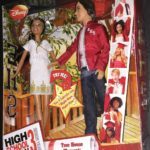 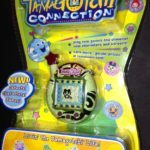 This Strawberry Shortcake doll is from the American Greetings Strawberry Shortcake A World of Friends collection and is one of five dolls in this vintage year 2007 set.